Living the Houseboat Dream - enjoying life on houseboats. I'm living the houseboat dream and lifestyle choice. You too can choose to live and enjoy life on houseboats also. This is my second houseboat, and being a liveaboard on both... my first in Florida and now I am in the cool and comfortable mountains of Tennessee. There is nothing better than waking up to the smell of coffee brewing and then frying bacon on the front deck's grill...(why heat up the interior?) We just throw an iron skillet on the bar-b-que grill and turn it on low and the bacon just cooks itself. You get up every once in a while to turn the strips. Meanwhile you sip your coffee and enjoy the view.... the birds chirping and the geese flying in formation over the water are the most relaxing experiences there are. The day passes by so leisurely that you almost feel guilty enjoying yourself so much. Your main worries are what to throw on the grill for that evening. To sit out and look at the stars on a clear evening is a religious experience... and then to sleep with the gentle rocking is rewarding in itself. You wake up feeling quite refreshed. law firm. I feel like I have died and gone to heaven....life is fabulous and I feel so lucky to have discovered this wonderful lifestyle. My best to all out there, and HAPPY BOATING !!!! Well Robert, when it comes to living the houseboat dream, I can agree and appreciate the fact that you shared your thoughts on your excellent lifestyle choice. Life on the water is generally at a much slower pace and a lot more peaceful, especially when compared to the hectic, traffic laden city life. Lastly, if any of our readers and visitors want to share or post comments about their living on a houseboat dreams or experiences. Feel free to use the "Click here to post comments." link found near the bottom of this page. 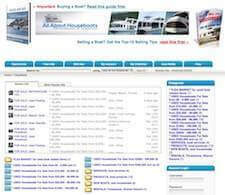 Comments for Living the Houseboat Dream Lifestyle - live and enjoy life on houseboats. Many Marinas in Tennessee welcome liveaboards. The Marina I live at is 25 minutes outside Chattanooga and has a huge liveaboard community. 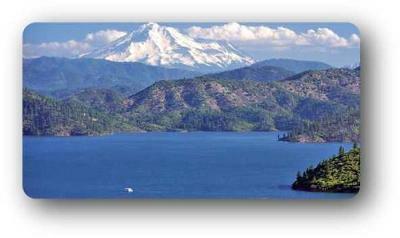 Lake shasta and live aboard? An area or decent year round weather but does anyone know if Lake Shasta, or Lake Powell allows year round living perhaps? Thanks for any info for us newbies. When considering how much to spend on a boat, take the amount that you are willing to pay and subtract about 30%. You will want that extra 30% for any maintenance issues that may pop up. I’ll get to the why’s and wherefores in a second, but first let me tell you all what’s going on. We are moving our little family back to the prairies where I’m from. This will be back to my family … and my roots. 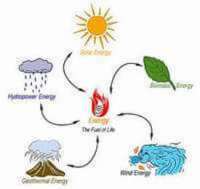 This is back to the life, land and people that I am familiar with. 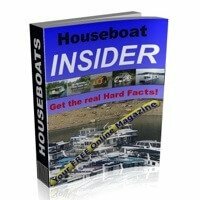 I am looking to buy a houseboat on Lake Seminole in Georgia. Does anyone know of any for sale or any houseboat marinas on this lake. I can't seem to find any. Thank you. 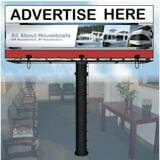 I'm currently looking for a houseboat on Watts Bar Lake, any ideas? I'm in the 15k range. I went to B&B Marina today and looked at a houseboat that is for sale. I, too, think I should rent one before buying. I don't know how to find out which boats are for rent. Any ideas? Houseboat Trial Runs - where to try the lifestyle first? My husband & I are considering buying a houseboat and living on the TN River or at Jekyll Island. He is retiring sometime in the next 4 years. We want to "test the waters" before we make the plunge. I have not been able to find any houseboats for rent around East TN or Jekyll Island. 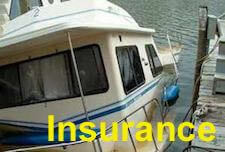 Do you have any suggestions as to how we could go about checking out your lifestyle before buying a boat? If you know anyone that would be willing to rent their houseboat? I live in Pikeville, TN, right over the mountain from you. I work at La-Z-Boy in Dayton, just down the road from Spring City. Your lifestyle sounds wonderful. I'll have to visit the Spring City marina sometime this summer. I would love this to be feasible for me. I'm starting to look at houseboats in Forida. I don't know if it would be feasable for me. I'm also an animal lover. I have a cat, macaw & a young dog I'm showing. I showed dogs for years and can't imagine myself w/o a pet! I don't plan on staying in Fla and Tenn was somewhere I never thought of. I was thinking of Seattle or someplace on the west coast. You sound like you're living the dream! Ok..ok....I deserved that one ! I WILL admit I was afraid to venture out with my last houseboat, but that was on the St. Johns River in Florida and the currents and choppy conditions concerned me. Everything I owned was on that boat! However...now I am on a pleasant lake in Tennessee with calm conditions and no suprise storms popping up at a moments notice. I DID fire up the engine and have OTHER people lined up to captain the vessel. I would not try it by myself the first time and of course it is more fun with a crew on board. So happy you're back living on the water knowing how much you love it . We've often commented to each other how boaters in general are a friendly and social group but those who actually live on their boats are in a class by themselves, and in my book it's the top of all the classes . I have one question for you though if I may ask . Will this one ever leave the slip ? Congrats to you my friend !! So happy that you are enjoying life on your Houseboat. It does indeed sound like Heaven. We're wondering how little Bud is adjusting to life on the water? Enjoy! Knowing how much you loved your other houseboat in Fla., I can see this is just an extension of that, plus living this life on a lake with 600+ miles of shoreline, in the mountains, in Tennessee. You may have to get a Bigger Boat, and with some spare "guest rooms". Living on board in Tenn? I was just informed by Catamaran Cruisers that you can no longer live aboard your boat in Tenn. I am a bit confused by these posts. Can someone clarify the laws over the past year. I am looking to find a live aboard dockage in a safe, secure marina. 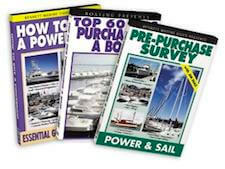 I have concentrated my search to the southeast and planning a trip to look at several marinas in the next few weeks.